Last night, just before I went to bed, I spotted a news article about singer-songwriter and Eagles front man Don Henley. 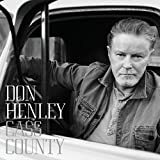 Cass County, which is due to be released today, is a country album and Henley’s first release in fifteen years. He’s teamed up with a number of noted Nashville musicians, including Miranda Lambert, Trisha Yearwood, Vince Gill, Dolly Parton, and Merle Haggard among others. 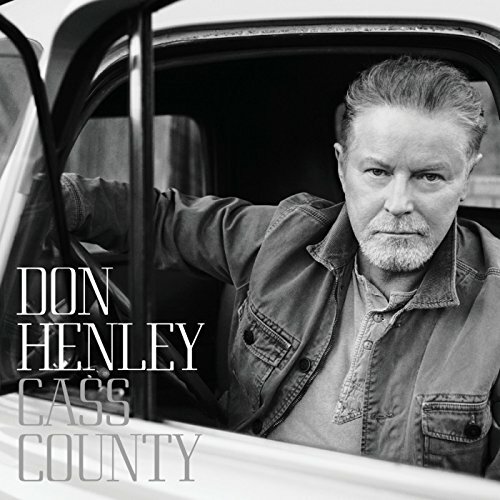 Although I usually think of Don Henley’s music as edgier than his Eagles bandmate, Glenn Frey, I’m not all that surprised that Henley is going country. He has done duets with Trisha Yearwood before and hails from eastern Texas. A lot of The Eagles early songs were somewhat akin to country music. In 1993, a bunch of country stars covered Eagles hits to raise money for Henley’s Walden Woods project. At 68, he’s probably mellowed somewhat, although I see that Mick Jagger is also featured on this new album. I’d try to link to a video, but Henley is well known for not letting his stuff get featured on YouTube. I know Don Henley is not known for his personality, but that’s not why I listen to his music. I love his voice and enjoy his songwriting, except when he gets really preachy. Ah hell… I see iTunes already has Cass County ready for download. I’m going to get it and listen. Hopefully, there will be a new review posted soon. Sorry it’s been so long since my last post. I’ve been knee deep in life since we moved to Germany and have had some problems with inspiration. Now that fall is here, I’m hoping for some great new releases to review. For now, I think I’ll spend some quality time this weekend with Don Henley. I have a feeling I’ll enjoy his country stylings just fine.